Starting off with a review of what a dial is. This is a tool used by astrologers in Germany (Hamburg School). Here in the US it is also widely popular making it much easier to read more points. Adding in the asteroids and the Transneptunians can overwhelm when we attempt to place all these different points on the Wheel. 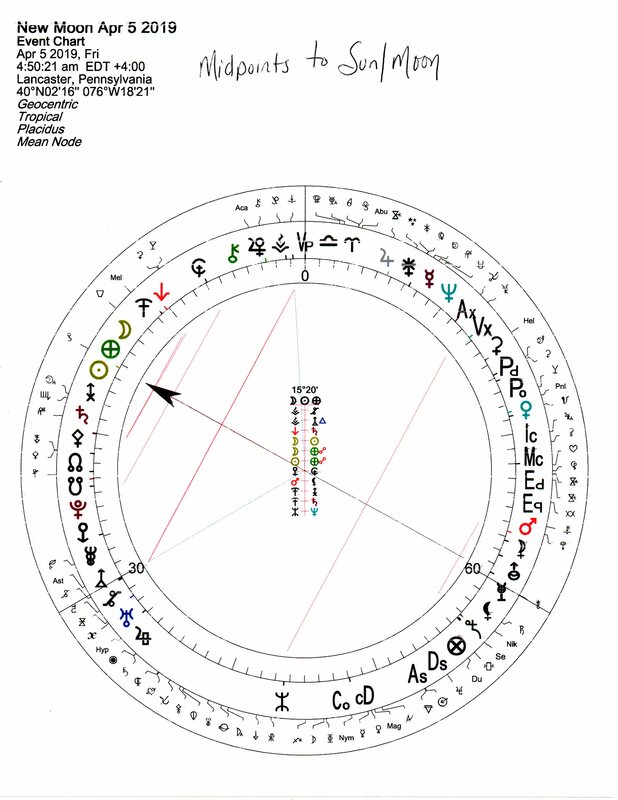 The Wheel is still very valid, it helps to access house placements (area of life) these planets, asteroids, Transneptunians, and things like Stars, Black holes, Centaurs all can be seen in the wheel emphasizing house placement and sign. But with all these points added it makes it hard to see the aspects and conversations. With the dial there is more ready access to the conversations (aspects) going on between those points. We are now only looking at aspects and midpoints. House and sign have their importance but the dial only sees the “math.” So the dial is able to take what you already know and add on to that, giving even more detail to the chart. The Dial is made up of either 360 degrees, 90 degrees, 45 degrees, 15 degrees as well as 60 degrees and 30 degrees. The most commonly used dial is the 90 degree. They each have their own quality but the 90 degree dial seems to offer the most. Though it is amazing what you can get when you do use a 15 or 45 degree dial. In the 90 degree dial you are able to see at a glance, conjunctions, oppositions and squares. But you are also able to see midpoints. For more information on the dial you can look at either the web-clip or the article done on the website. But for review the first 30 degrees are all the Cardinal signs lumped together, the left side of the dial. (Cancer, Capricorn, Aries and Libra) The second set of 30 degrees located at the bottom are the fixed signs, (Taurus, Scorpio, Leo and Aquarius). Finally the third set of 90 are the mutable signs located at the right side of the dial, (Gemini, Sagittarius, Virgo and Pisces). The aspects are formed not just by what points are grouped together but also what points are across the dial. An axis is formed at every 22.30 point from those groupings to form and cross and a complete axis. This gives astrologers plenty of detail and information quickly and easily. Midpoints are formed as the mid-point between two points. Whether or not these two points had a real aspect between them doesn’t really matter because they still have a midpoint together. Often when I do articles for the New Moon I will write about those planets, asteroids or Transneptunians that fall in the Aries Axis which is always, 0 degree of any cardinal sign, 22.30 of any cardinal sign, 15 degrees of any fixed sign and 7.5 degrees of any mutable sign. A midpoint is when two points meet at one of these degrees. Often in the New Moon chart there will be some interesting midpoints and this is a great way to learn and become familiar with astrology interpretations. We are going through a Hades/Kronos period and it will last until I believe 2030. This will be true throughout the whole world. No surprise that most countries are not happy with their leaders. Many leaders are being brought up on charges. Leaders of all kinds of organizations are being called out for abuses of their power. Obviously many heads will roll as the saying goes. This is also a time when there can be great advances in medicine. Already they have been able to cure people of Aids, surely we can expect more of this as well. Studying the midpoints in a chart can be very telling. It is one of the greatest ways to study and learn astrology as well as learning about others and understanding more of what is going on in the world around us and our part in it. 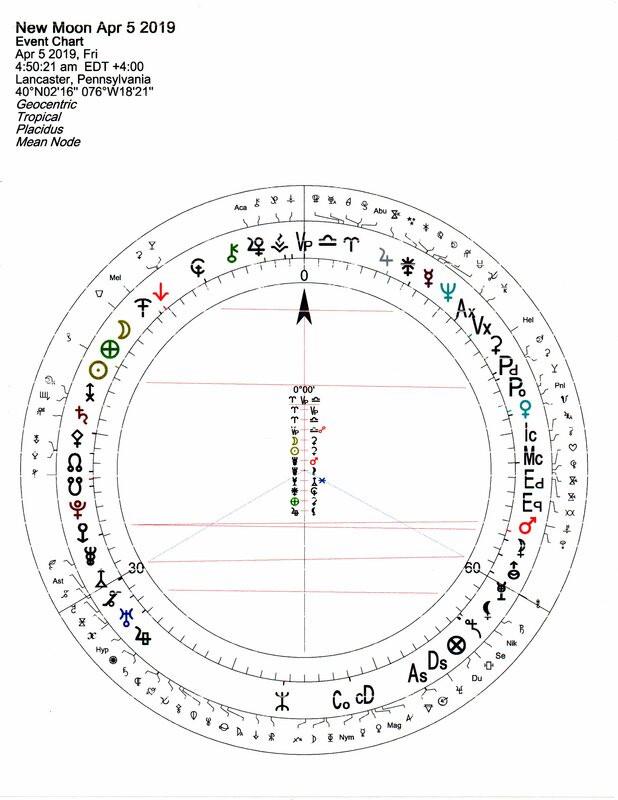 Enclosed is a copy of a dial with the midpoints listed at the Aries Point. Realize that the Aries Point is not just the 0 Cardinal point but all the points listed above.